Chien Embedding Molds, Universal | Polysciences, Inc. 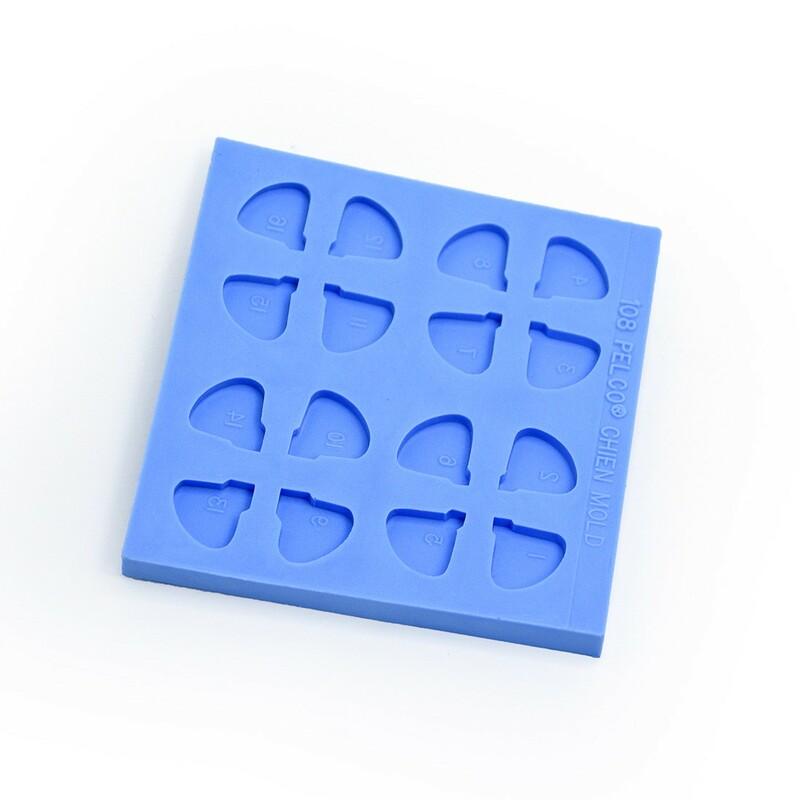 The design of this mold allows up to 16 tissue samples to be sectioned both on lateral and transverse planes without re-embedding. A sample is placed with longitudinal and cross plane edges into the special mold tip end. When embedment is complete, the microtome chuck is rotated to allow sectioning on either sample plane. Also useable as a general flat embedding mold. Casts made from this mold can be used on Leica/Reichert, LKB, and Sorvall Microtomes with flat embedment chucks.